Early Church History to the Death of Constantine was Edward Backhouse’s final work and was completed posthumously by Charles Tylor. Backhouse intended to write church history from the perspective of The Society of Friends (Quakers). His desire, perhaps not fully allowed to himself, was to find out with what early early teachers stigmatised as heretics he himself could in any way sympathise; what protests against priestly assumptions and ritualistic corruptions had been made in the early ages of the Church. Thomas Hodgkin [1831-1913], Biographical Preface, p.xiii. The book contains a number of photographs and colour plates. This title is in the pubic domain. 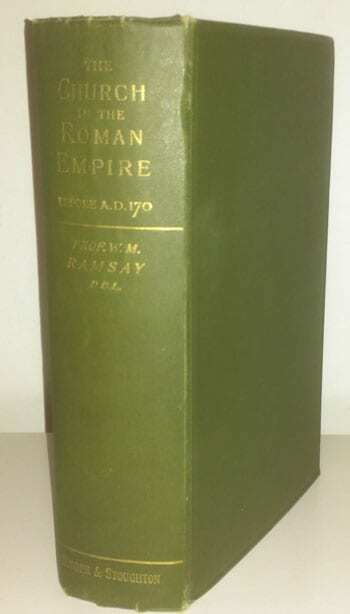 Elmer Truesdale Merrill [1860-1936], Essays in Early Christian History. London: MacMillan & Co., Ltd., 1924. Hbk. pp.334.